1. Develop, manage and deliver the parliamentary strategy in liaison with the CEO. 2. Identify and maintain a network of influential and interested parliamentarians, special advisers and officials across the full range of GuildHE interests, and promote the profile and activities of member institutions. 3. Monitor parliamentary business and government announcements, including in the Scottish Parliament, the Welsh Assembly and the NI Assembly, identifying areas for intervention. 4. Engage with member universities to identify and pursue opportunities to influence decision-makers at national, regional and local level. 5. Write and disseminate high quality briefings and evidence for parliamentarians, Select and Bill Committees, Ministers and officials. 6. Draft parliamentary questions, EDMs and topics for debate and identify any relevant legislation and guidance. 7. 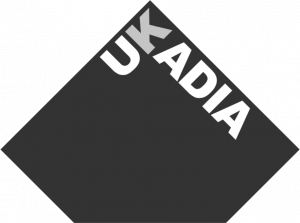 Provide timely and professional responses to enquiries from Ministers, special advisers, MPs, Peers, research staff, member universities and other stakeholders. 8. Provide updates and briefings for member universities on parliamentary and political activity of relevance. 9. Plan and deliver the GuildHE party conference activity and organise parliamentary events such as parliamentary receptions and round-table seminars. 10. Generate content across various channels – newsletters, social media and website when required. Write press releases as required. 11. Raise GuildHE’s profile among external audiences, and highlight the impact of GuildHE”s work to the membership. Disseminate the material from GuildHE’s research and reports and send briefings and key messages to stakeholders. 12. Assist in the preparation of papers on relevant matters for the GuildHE Board. 13. Actively support the delivery of the GuildHE strategy. 14. Undertake any other reasonable duties as may be required. To apply please send a CV and covering letter to Dee Easter, Head of Resources, dee.easter@guildhe.ac.uk by Thursday 2 May 2019. 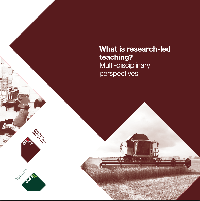 CREST publication – What is research-led teaching?